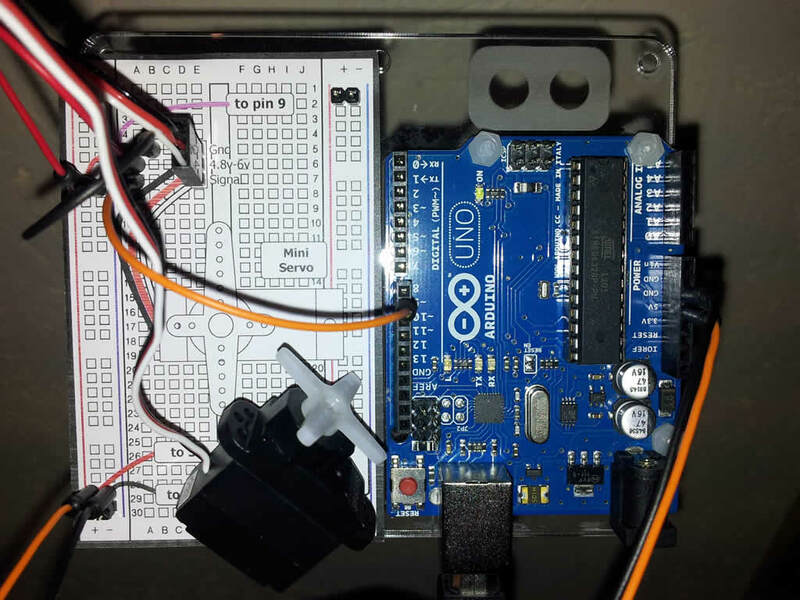 I recently discovered the Arduino open source microcontroller platform and decided to give it a go. I was excited by the fact that you can upload your own programs ( or sketches as they call them ) to make stuff work. Instead of buying the components individually, I bought the Oomlout Arduino Experimentation Kit to go with my already purchased Arduino Uno. This comes with instructions for 11 different projects. Wow – the excitement when this stuff works is great. And I’m only up to circuit 2 which is flashing a few LEDs. Just imagine what I’m going to be like when I get on to later circuits! 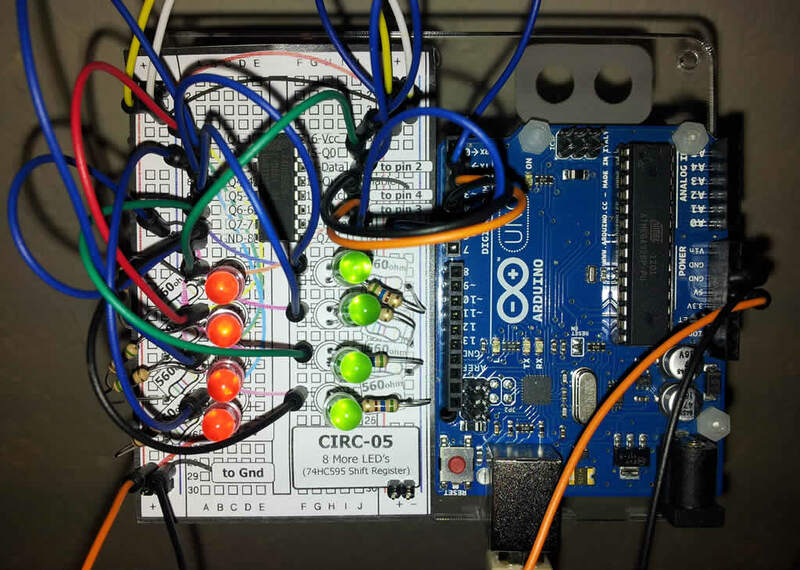 In a nutshell, you build your circuits using LEDs, motors, transistors, servos or any other components you like. There are loads of example circuits available on the web. The picture below is circuit 2 of the Oomlout experimenters kit. 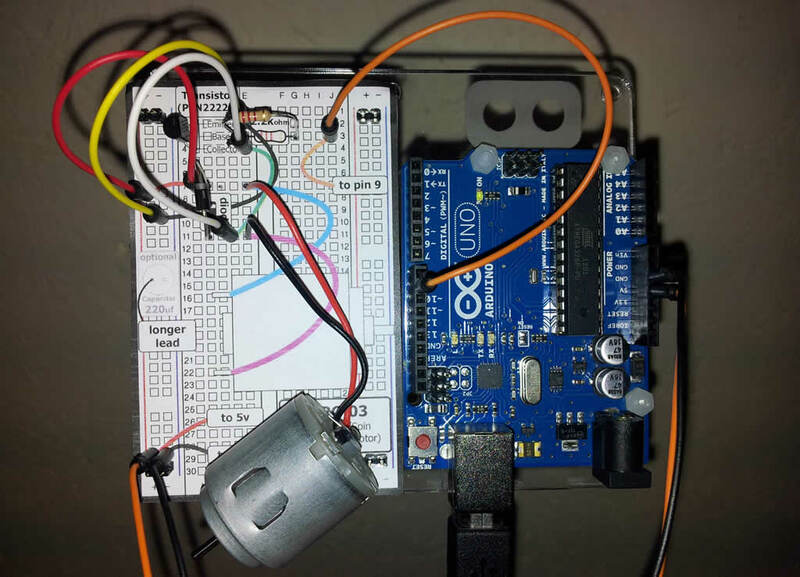 Here is circuit 3, spinning a motor. 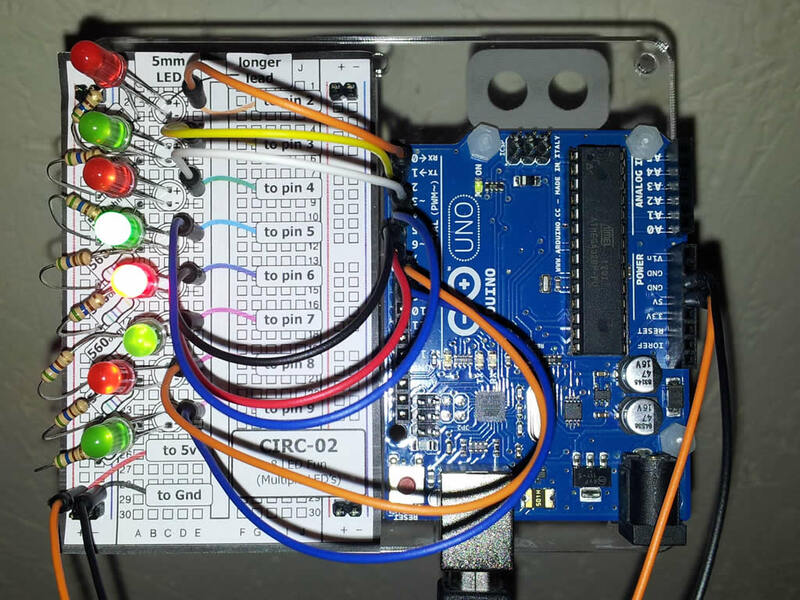 And here is circuit 4, controlling a servo. And here we have circuit 5, using a shift register. 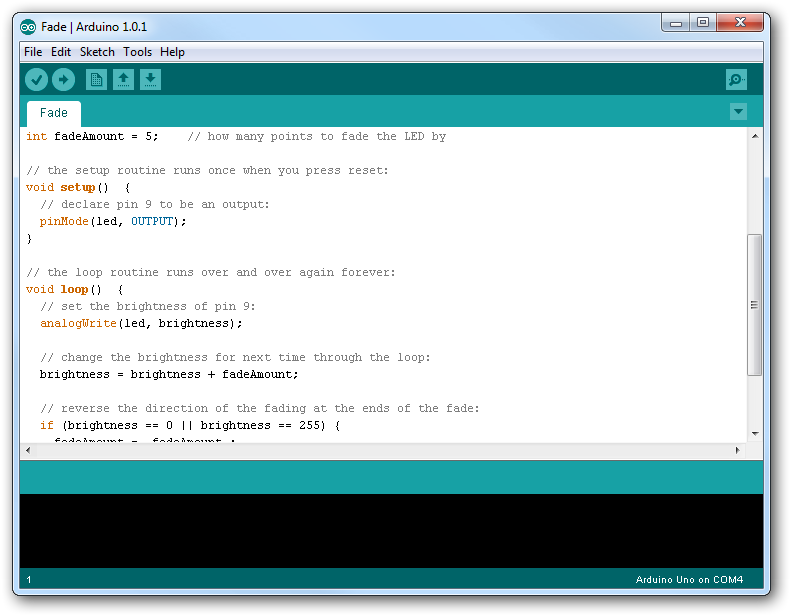 You then upload your controller program to the Arduino board using the supplied software as shown below and hey presto. The language they use is a simple C type language and is quite easy to pick up. Arduino is designed for rapid prototyping so who knows what I’ll come up with. I just need to understand more about electronics. But watch this space.